WASHINGTON — The family of Makiyah Wilson, a 10-year-old girl who was shot and killed on July 16, 2018, is suing the District of Columbia. The family and their legal team claim the D.C. Housing Authority (DCHA) did not do enough to secure the public housing development where Makiyah died. 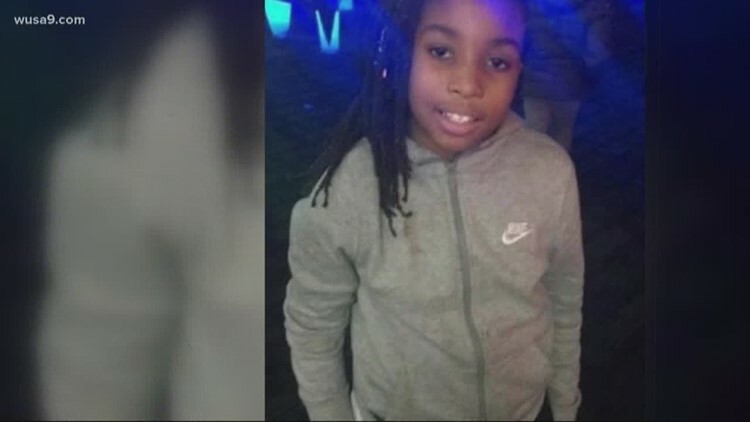 The fifth-grader, who was known to her family as Kiyah, was killed after a group of masked cowards was caught on video driving up to D.C.'s Clay Terrace neighborhood and firing more than 70 gunshots into a courtyard full of people. "It is beyond words how my pain is daily," Donnetta Wilson said as she fought back tears. Wilson said the hurt has not gone away nearly nine months after losing her daughter. She said the $30,000,000 lawsuit is not about the money but making sure what happened to her little girl never happens again. "There's nothing in this world that can bring Makiyah back. So, we need change," Wilson explained. Brian McDaniel, who is the Wilson family attorney, said, "DCHA needs to be held accountable for their failure to make Makiyah and all the residents, really, of Clay Terrace safe." McDaniel explained the litigation alleges that DCHA failed to provide security gates, guards, or functioning security cameras despite known crime problems in the area. "Within 1,500 feet of 321 53rd Street, which is where Makiyah and her mother lived in July, there had been, in fact, 23 homicides and over 500 violent crimes in that area," McDaniel told WUSA9. Wilson and McDaniel said the city knew about the statistics but did not do enough to keep residents safe. "It was ongoing incidents happening daily, daily, daily," Wilson recalled. "I was talking to them, trying to get them to understand what was going on, but it was never enough. So, that's what I told them. Is it enough now? My child is gone. So, when is it ever going to be enough?" Their lawsuit claims the alleged negligence contributed to the conditions that led up to Makiyah’s murder. "We have to stay strong, or this statement will never make it out. I don't want another tragic story. I just don't," Wilson said. If the family win the lawsuit, much of the money would go toward funding a foundation in their daughter’s name. The lawsuit was officially announced during a press conference Thursday morning. "It was just unfathomable to me that there was nothing that deterred these individuals from committing the offense in the way that it did," McDaniel said. In the criminal investigation, seven people have been charged in Makiyah's murder. The trial is set for August next year.